I never thought I'd get to a point where my daily make-up routine was purely just one brand. 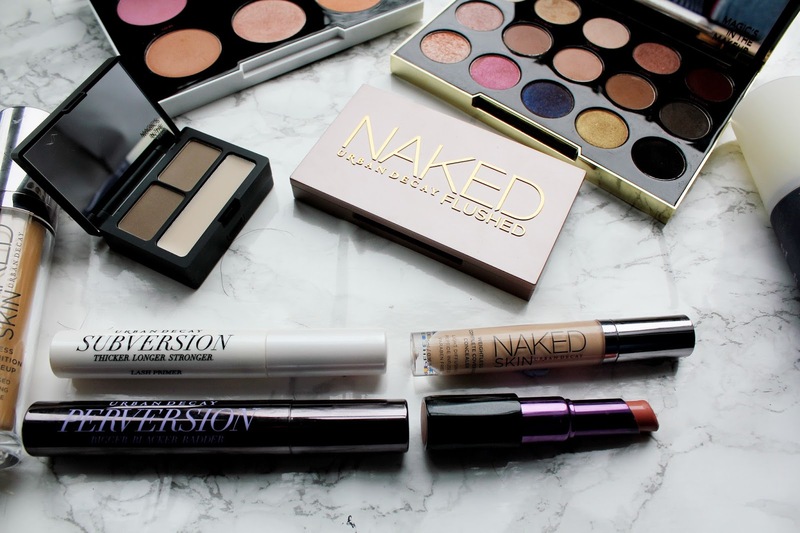 With all the brands out there on the high-street and higher end make-up brands there's definitely far too much choice but Urban Decay is a brand I've loved for a long time and I genuinely love ever product I've tried from them. So I thought I'd share with you all the products I'm using at the moment to create my daily make-up routine (and they're all from Urban Decay!) Urban Decay Naked Weightless Liquid Foundation In Shade 4 This product is actually the newest edition to my Urban Decay collection and it's definitely growing on me. I love the naked weightless concealer and so this foundation was definitely the next step up. I love how this foundation is really buildable and light weight. Urban Decay Naked Weightless Concealer In Light Warm I don't know what else I can say about this concealer aside from the fact that you NEED it in your life. If you've not found that perfect concealer that doesn't crease, is full coverage and leaves your skin feeling dewy and looking bright this concealer is for you. I love this concealer so much I genuinely don't think I'll be buying a different one again. I wrote a whole post about how much I love it and you can check out the post here. Urban Decay Eden Primer Potion For the past few months I've used this eyeshadow primer and I don't know what I'd do without it. I loved the idea of wearing eyeshadow everyday but my eyeshadow always creased as the day went on. Since I've discovered this primer my eyeshadow stays in the same place all day long and I love using it. 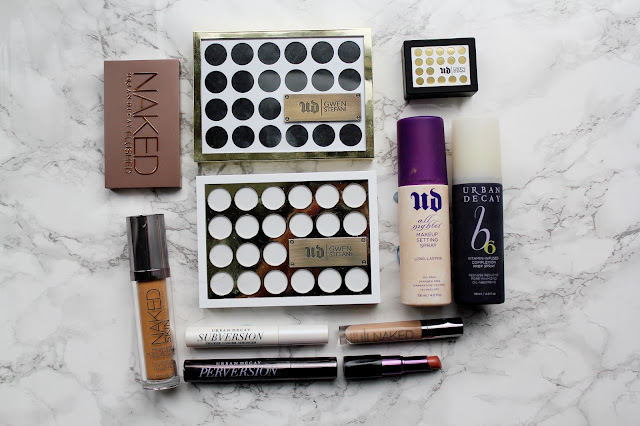 Urban Decay x Gwen Stefani Brow Box* This brow box is a product I've only really just started getting into. I really like this as it includes a wax, powder, brush and mini tweezers (they are literally adorable) and the powder applies a lot darker then it first looks inside the box. It's part of the Gwen Stefani collection for Urban Decay and you can check out the full review of the collection here. Urban Decay x Gwen Stefani Limited Edition Eyeshadow Palette * If you've been reading my blog a while you'll know I absolutely adore this palette. I didn't expect to love this palette as much as I do as Gwen Stefani is famous for her bold make-up looks and this palette is very neutral. I have posted a full review about this eyeshadow palette here. Urban Decay x Gwen Stefani Cheek and Blush Palette* The more I use this palette the more I love it. I love using the colours Hush and Angel. Hush as a blush shade and Angel as a light highlight shade. The other 4 colours I don't think I will get much use out of though! 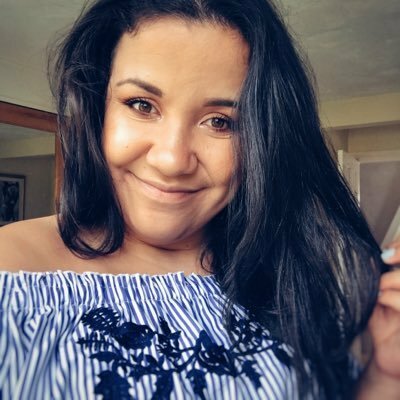 Urban Decay Subversion Lash Primer* I've mentioned my love for this lash primer so much as it really makes a difference to way my lashes look. I didn't think a mascara primer would work but this one really does. You can check out my blog posts featuring this primer here and here. Urban Decay Pervision Mascara This mascara is a recent edition for me but I absolutely adore it. I've read a lot online that it works really well with the subversion lash primer and I thought I would give it a go and it really does work. My lashes look like I'm wearing fake lashes and they look extremely volumised and curled. All these products look so pretty! I haven't really tried anything from UD but am so tempted by the blush palette now.